The Metro Series is set following a nuclear war in the early 21st century. The remnants of humanity now live underground in the Moscow subway system. Like the city-states of ancient Greece, individual stations govern themselves sometimes banding together to form small nations. Their ideologies vary from adherence to the Koran to fascism to nonspecific mysticism to communism. They war among each other, and with the mutant beings which have risen from ashes of the old world. Metro 2034 takes place roughly a year after the events of Metro 2033. For better or worse, the “threat” of the dark ones has been eliminated. Those who remain must live with the decisions they made and that is not necessarily easy to do. The sequel finds a new set of heroes, a historian named Homer and an innocent girl named Sasha, following a similar path. This time the threat is a deadly disease ravaging Sevastopolskaya Station. A familiar face returns with a solution. Those who have been exposed must be cleansed from the Metro, but is it the right the decision? Dmitry Glukhovsky’s sequel, Metro 2034, is a much more philosophical piece than the already thought provoking Metro 2033. Homer is an old man enamored with an old world. Through Homer’s eyes, the reader is given tremendous insight into Glukhovsky’s own struggles with the narrative and the choices which confront our heroes. Trust and faith are things that do not come easily in the Metro (or our own world for that matter). Yet, trust and faith is exactly what the Metro needs. Interestingly, the narrative is neither better nor worse than its predecessor. The scope of the tale is much more narrowly defined. Glukhovsky is to be applauded for not giving a formulaic or action oriented sequel which would have capitalized on the success of the computer games which share its name (Metro 2033 and Metro Last Light). However, at times the plot seems to wander off into ultimately pointless tangents. Of course, that is also what Glukhovsky is trying to get across to the reader regarding the very nature of the Metro. 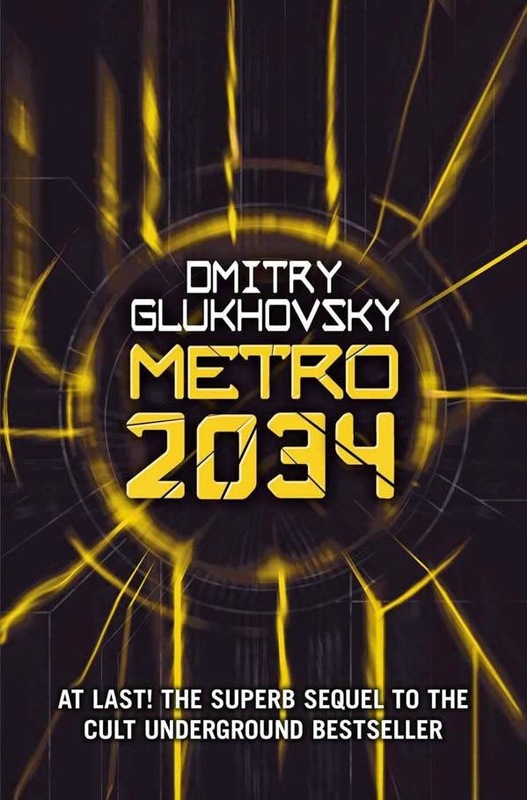 Readers enamored with the Russian tradition of science fiction, such as Isaac Asimov’s Foundation or the Strugatskys’ Roadside Picnic, will appreciate Metro 2034. It also has some very excellent horror elements. The pace slows midway through the novel but carry on, as the ending is well worth the setup it takes to get there.